Indraprastha College for Women also known as IP COLLEGE is the oldest women’s college of the University of Delhi and was founded in 1924 as a part of the nation-wide campaign for women’s education and empowerment.This is one of the most sought after college among female students to make career in Science,Commerce Arts and Mass Media and is amongst the prestigious colleges of India.It’s the only college in the Delhi University offering the much coveted BMMMC- Bachelor of Mass Media and Mass Communication. IPCW is strategically located in Civil Lines,2 km from Kashmere Gate ISBT, 4 km from Old Delhi Railway Station and 3 km from the North Campus of the University of Delhi.Gate no. 2 of the Civil Lines Metro Station is next to the college boundary. Under the Four Year Undergraduate Programme (FYUP), the College offers Discipline I courses in Computer Science, Commerce, Economics, English, Hindi, History, Journalism and Mass Communication, Music, Mathematics, Philosophy, Political Science, Psychology and Sanskrit. It boasts of an excellent faculty and a very helpful support staff. The college follows a strict attendance policy within the framework and rules of the University of Delhi.Many of its top students secure top positons in the university every year. The College has an auditorium, a state-of-the-art conference and seminar rooms and an Audio-Visual Resource Centre. There is a fully equipped studio, radio production centre, editing bays, dark rooms and equipment required for in-house training and production related to the Journalism and Mass Communication course. The College has a spacious Library with many rare books and the latest in national and international journals. The ICT Centre with 80 computers is also located in the Library. A sprawling multi – facility sports complex offering an entire range of sports activities, a swimming pool, outdoor and indoor shooting ranges, vast playgrounds, synthetic tennis and basketball courts form part of the excellent sports infrastructure offered by the College. Sports like Archery, Aerobics, Baseball, Basketball, Softball, Volleyball, Swimming, Martial Arts, Badminton, Lawn Tennis, Squash, Table Tennis, Chess, Rifle Shooting, are some of the sports in which students excel. There is also a fitness/ training centre with the latest equipment. The College offers various extra-curricular activities and excels in Dramatics, Dance, Debate, Choreography, Music and Fine arts. The College also runs an NCC unit and the NSS program. The Golden Key International Honour Society, the International Award for Young People are opportunities for all students who want to push their limits of achievements. 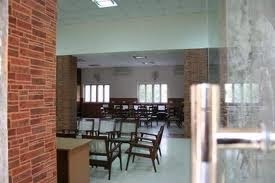 The college has two hostels with a total of 366 seats for outstation students. FIESTA and MAGGIE POINT are the closest hangout.MOCHAS is the most popular destination but it’s heavy on the pocket.Kamalanagar and G.T.B. Nagar market are hotspots for cheap and good clothes. Today a career in Journalism (mass communication) is attracting a large number of passionate young boys and girls. To be a better journalist you require a course training which can enhance your skills and confidence. So, you can take admission in top journalism colleges in delhi and build your career in the field of journalists.